Everyone loves learning by playing! 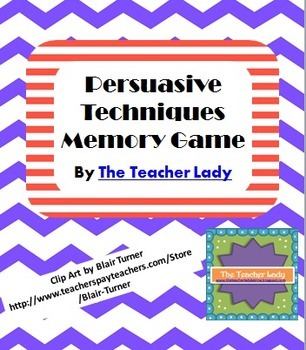 This document includes a matching game to help students understand key persuasive techniques. 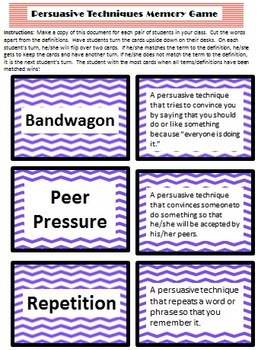 All you need to do is make a copy for each pair or small group of students, cut the cards apart, give the students instructions on how to play (included), and watch them learn! 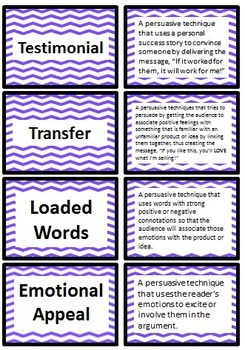 Looking for more Persuasive Text Resources? 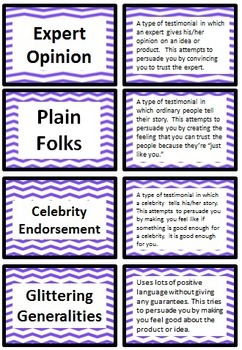 Check out these products!